The 2015 Greater Los Ange­les Point-In-Time Count, led and man­aged by the Los Ange­les Home­less Ser­vices Author­i­ty (LAHSA), is how we deter­mine the num­ber of home­less neigh­bors we have in Los Ange­les Coun­ty on any giv­en night. WHY DO WE COUNT HOMELESS PEOPLE? We need to know the size and scope of home­less­ness through­out Los Ange­les Coun­ty. In order to make a dif­fer­ence in the lives of our home­less res­i­dents, we need to know who they are and where they reside. The count is real­ly sec­ondary to our goal of help­ing home­less per­sons find per­ma­nent hous­ing. The data gath­ered from the count allows us to assess ho w and where home­less per­sons can best be served. WHAT IS COMMUNITIES IN MOTION’s INVOLVEMENT? 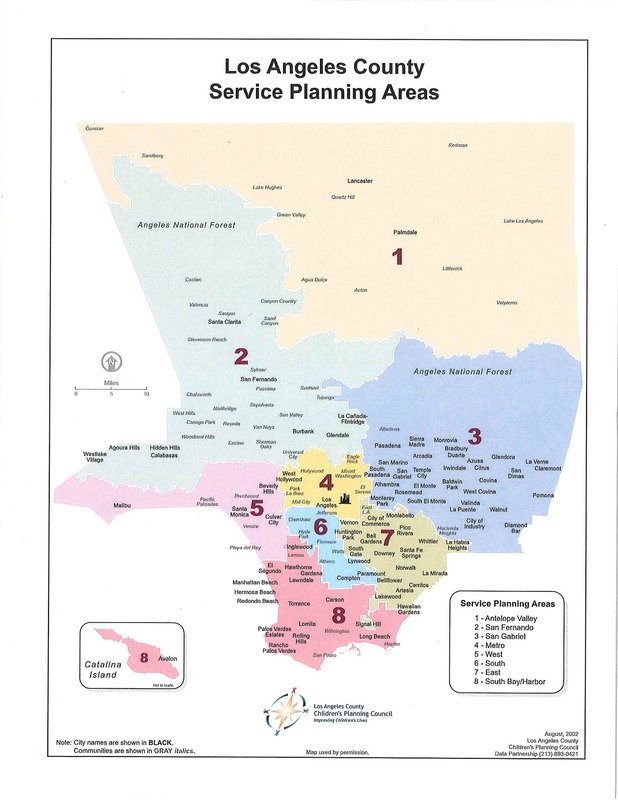 Com­mu­ni­ties in Motion is coor­di­nat­ing and over­see­ing the 2015 Home­less Count in Ser­vice Plan­ning Areas (SPA) 5 & 8. SPA 5’s des­ig­nat­ed coor­di­na­tor is Stephanie Inya­ma and SPA 8’s des­ig­nat­ed coor­di­na­tor is Grace Welt­man. We are work­ing in part­ner­ship with home­less coali­tions in each of the SPAs. com­mu­ni­ty orga­ni­za­tions, elect­ed offi­cial offices, cities, com­mu­ni­ties, and oth­er stake­hold­ers to ensure each region will have an active and engaged com­mu­ni­ty ded­i­cat­ed to ensur­ing their com­mu­ni­ty is count­ed. Under­stand the Sit­u­a­tion In order to make a dif­fer­ence in the lives of home­less men, women, chil­dren and vet­er­ans; we need to know who they are and where they live. Bring Resources to Our Com­mu­ni­ty The data gath­ered from the Point-In-Time Count is the most pow­er­ful tool non­prof­its and local lead­er­ship have to make a case for addi­tion­al and spe­cial­ized resources. Dri­ve Engage­ment Con­nect with lead­ers, cit­i­zens and oth­er stake­hold­ers in our Cities, Neigh­bor­hoods or Com­mu­ni­ties and cre­ate a vehi­cle to dri­ve fur­ther civic engage­ment and aware­ness of home­less­ness. WHAT I WILL BE DOING AS A VOLUNTEER? Vol­un­teer Recruiters to recruit vol­un­teers to par­tic­i­pate in the Home­less Count by spread­ing the word through­out social cir­cles and rep­re­sent­ing staff at var­i­ous com­mu­ni­ty events. Vol­un­teer Train­ers to be respon­si­ble for train­ing all Vol­un­teer Coun­ters at a spe­cif­ic Deploy­ment Site for up to 3 Train­ers take on a lead­er­ship role and must be com­fort­able giv­ing direc­tion. Vol­un­teer Coun­ters to receive train­ing and mate­ri­als on the day of the Count from trained vol­un­teers and be deployed in groups of 2 – 3 to count spe­cif­ic blocks in an Coun­ters will be out­side count­ing for up to 4 hours. Deploy­ment Site Coor­di­na­tors to run a Deploy­ment Site dur­ing an 8-hour shift, includ­ing set­up and cleanup, over­see­ing vol­un­teer train­ing and deploy­ment, and col­lect­ing and review­ing tal­ly Coor­di­na­tors take on a lead­er­ship role and must be com­fort­able giv­ing direc­tion. Vis­it www.TheyCountWillYou.org to get more infor­ma­tion and sign-up as a vol­un­teer. If you would like to vol­un­teer in either SPA 5 or SPA 8, please indi­cate when you sign-up. You can also fill out a form here.